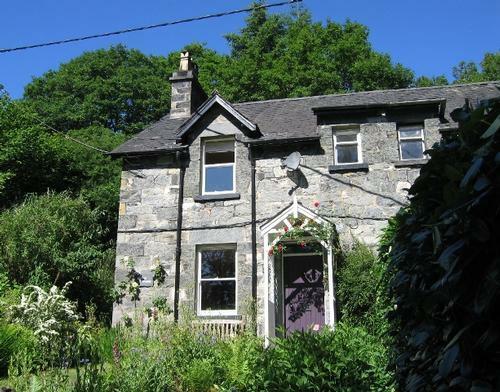 Bryn Tirion is a charming and tastefully decorated 140 year old stone-built semi-detached cottage situated in a pretty and tranquil setting on the edge of Betws-y-coed village in the heart of the Snowdonia National Park. It is set on an ancient Roman Road which passes the deserted village of Rhwddolion and visits one of Snowdonia's most attractive lakes. 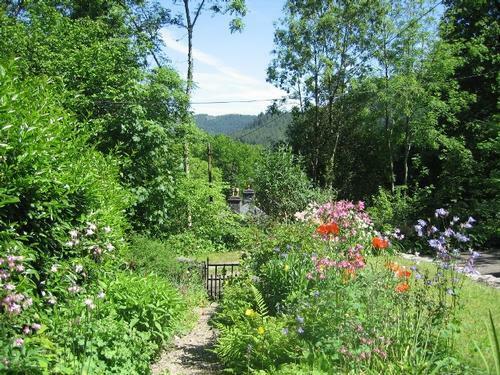 To the front of the cottage are wonderful views over distant forests and hills, to the side a sloping meadow and to the rear a picturesque woodland. 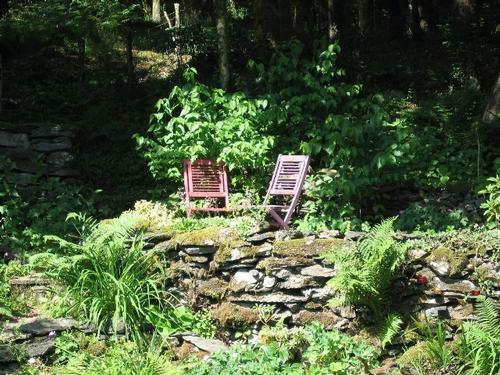 The front garden is part surrounded by stone walls, has a lawn and is well stocked with flowering plants and shrubs. The rear patio is a sun trap and leads to an elevated garden with ponds and additional seating. (this is up a steep path and not suitable for young children or the elderly). The cottage comfortably sleeps 4 adults and has recently been completely refurbished. 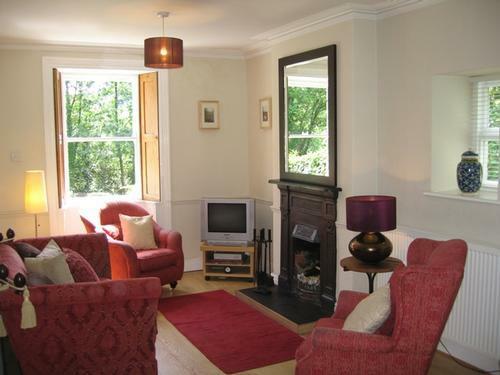 Lounge and dining room: This is a large 'L' shaped room with a cosy lounge area to the front with working cast iron open fireplace, original timber shutters to windows, settee, arm chairs, tv with sky freeview channels and dvd player. 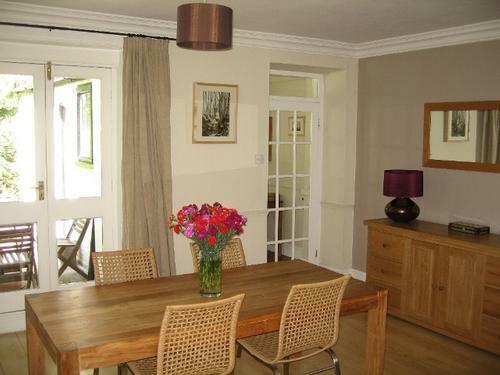 This opens on to the dining room which has a table with four chairs and French windows leading to the rear patio. 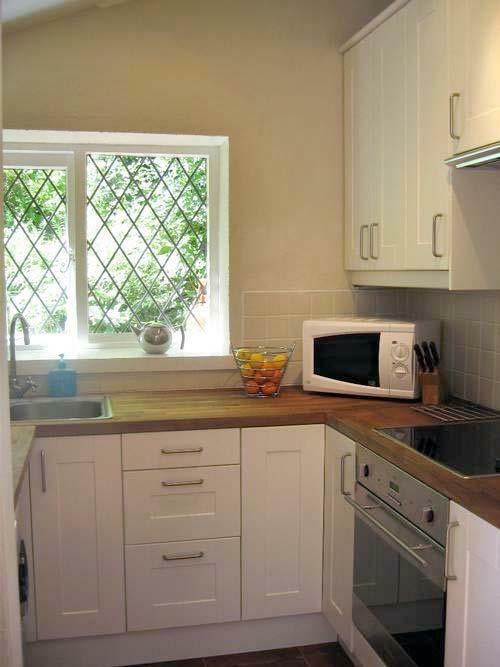 Kitchen and breakfast room: The fully fitted kitchen has a fridge (with freezer box), microwave, washing/drying machine, electric hob and oven, kettle, toaster, Nespresso coffee machine and, range of saucepans, utensils, crockery, etc. This leads to a breakfast area with table and chairs and stable door access to the patio. 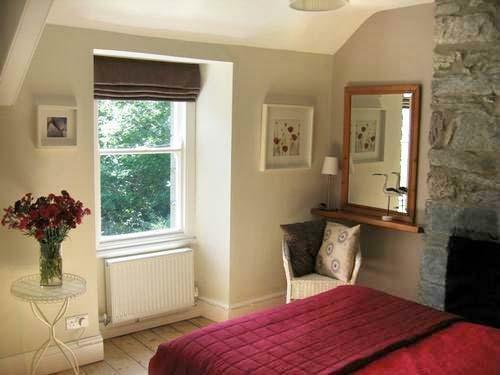 Double bedroom: The main bedroom has a feature stone fireplace and original solid timber floor, double bed, generous wardrobe storage, bedside cabinets, chair and table. Twin bedroom: The second bedroom has a solid timber floor, two single beds, bedside caband wardrobe. 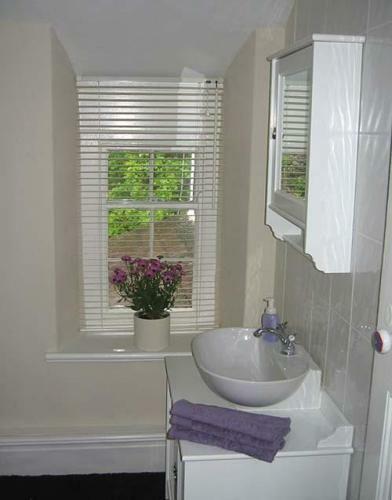 Shower room: This room has a shower, wc, basin, vanity storage unit and wall cabinet. 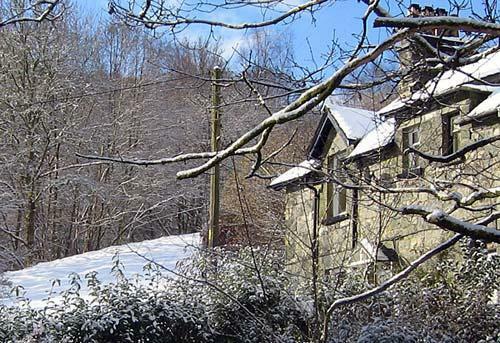 The property has gas fired central heating and instant hot water. There is private parking to the front. 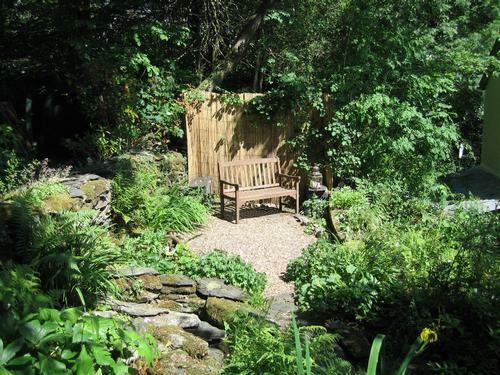 The cottage is only a short distance from the impressive Swallow Falls, where the Llugwy River hurls itself into a spectacular chasm, Conwy Falls and the pretty Fairy Glen. 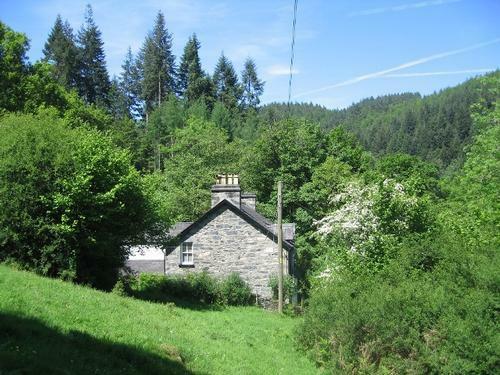 The nearest pub and restaurant is only a ten minutes walk away and it is half a mile to the centre of Betws-y-coed village.